Is there anything better than adding fresh new components to your PC build? 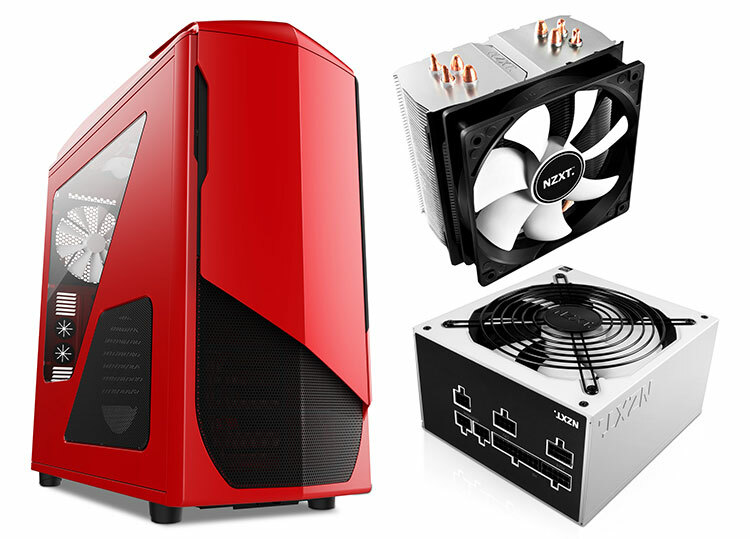 Arguably not, so to help you on your way, HEXUS has teamed up with NZXT to give one lucky reader the chance to win a high-end PC upgrade bundle! This case, cooler and PSU combination consists of a Phantom 530 full-tower chassis, a Respire T40 CPU cooler, and a Hale82 v2 550W modular power supply. Hint: You can find the correct answer at NZXT.com. The prize draw is open HEXUS readers in the UK and the US aged 12 years or over. The competition winner will be picked at random from all eligible entries that arrive by midnight of the closing date, November 1, 2013. The winners will be notified via email. The winner must claim their prize within 7 days of the promoter sending notification. If the prize is unclaimed after this time, HEXUS reserves the right to offer the unclaimed prize to a substitute winner selected in accordance with these rules. The prize is an NZXT Phantom 530 chassis, a NZXT Respire T40 CPU cooler and a NZXT Hale82 v2 550W power supply. Just cut my arm on my current case trying to install a few new drives, needless to say, that would be a fine replacement!